Won Lee, wife Heather, kids Blake and Jayda are excelling together - on and off the field. Sports and family. For many high school students, they rarely intertwine. Kids play, while parents watch and try to encourage from a distance as their sons and daughters take instruction from the coaches hired to do just that. But for one Hillsboro family born from a family history of sport, it's an opportunity to work together to become their very best — on and off the field of play. Won Lee and his wife, Heather, spearhead that endeavor, and they have for roughly 18 years. 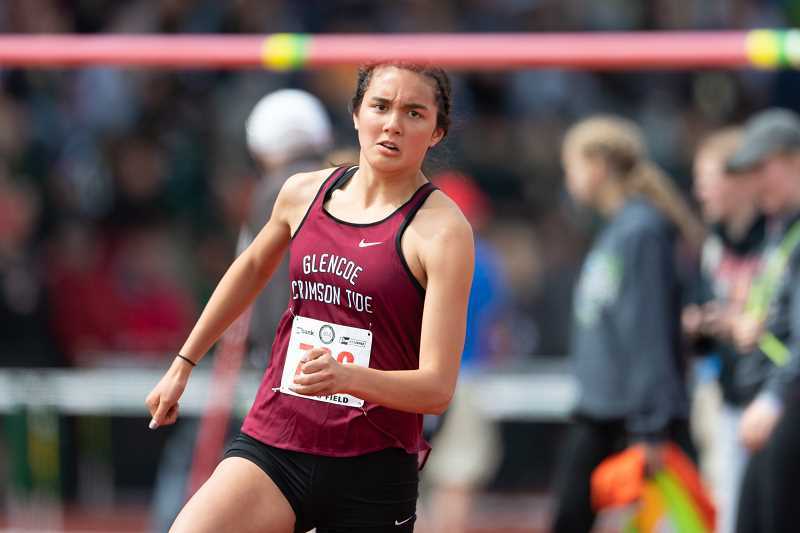 They're proud parents of Glencoe senior Blake and freshman Jayda, who have excelled on the field, various courts and recently on the track, where both qualified for last month's OSAA 6A State Track and Field Championships at Hayward Field in Eugene. But while sports and competition are an important tool in nurturing their kids into young adulthood, Won and Heather Lee understand that in the big picture, athletics are only one piece to a much greater puzzle dependent upon hard work, dedication and, most importantly, excellence in the classroom. "We as a family have grown to enjoy sports and make it a part of our lives, but yet still try to be diverse with other things we do," said Won Lee. "We're proud of our kids and what they've been able to achieve in sport, but we emphasize academics and are even more proud of what they've achieved in the classroom." Both Blake and Jayda Lee are straight-A students. In addition, Blake is an Eagle Scout, a member of the Glencoe Choir, InMotion ballroom dance team that won first place at nationals this past March, and recipient of the Flo Rhea Tuality Scholarship, Eagle Scout Scholarship and Intel Andy Grove Scholarship. Jayda was a member and contributor on the Tide's varsity volleyball team that finished sixth in state this past fall, MVP of the junior varsity basketball team last winter, and state qualifier in the high jump, where she placed seventh with a five-foot jump. But, along with her high jumping prowess, Jayda also throws the discus, something in which her father has played a key role in her development. "My dad has helped me so much," said Jayda Lee. "He's always trying to help, and I sometimes take that for granted. I wouldn't be anywhere near where I am if not for him." Why? Well, to understand that, you need to understand Won Lee. Lee, who works as a engineer at Intel, attended California Polytechnic State University at San Luis Obispo. He studied mechanical engineering while on a football scholarship for the Mustangs. He competed in track and field in high school, and for a year in college, he threw the shot put and discus before the demands of football, along with his studies, forced him to trim the fat. Since however, he's often thought of coaching the sport and two years ago got an opportunity to do just that. A friend of Lee's had a sophomore son who was throwing for the track team at Century High. Aware of Lee's history in the sport, he asked if he'd be interested in helping his son in his spare time. Lee jumped at the opportunity and later watched his sophomore pupil, Kyle Morris, turn into a state champion in the shot put and finish second in the discus by his senior year. 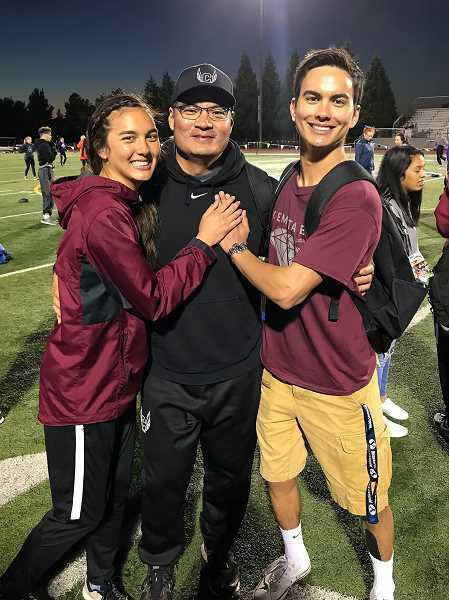 Shortly after, Lee was approached by Century head track and field coach, Samantha Elliott, to help the Jaguars in an official capacity, working with throwers in both the shot put and discus. Now, as he mentors Century throwers up close, he watches as his kids bear the fruit of his and their labor from the perspective of a coach and proud dad. "This year I started working with Jayda in the discus over the summer and we didn't know where she'd be, but she's gotten progressively better and there's a lot of upside with her as she gets stronger," said Won Lee. "It's just been fun to watch she and Blake get progressively better as I helped and they worked." As a student of the game, in a track sense, Won Lee appreciates the benefit of technique and preaches such to his pupils and own kids. He understands that proper technique not only gets results but also averts common injury as a result of poor form. "Technique is everything in throwing," Lee said. "When Kyle won state, the guy who was second was so much taller and bigger than he was, but technique and speed can be a great equalizer. You can also hurt yourself if you don't emphasize proper technique, and that's something I stress to all my athletes." And as athletes go, Blake Lee was all over the map. 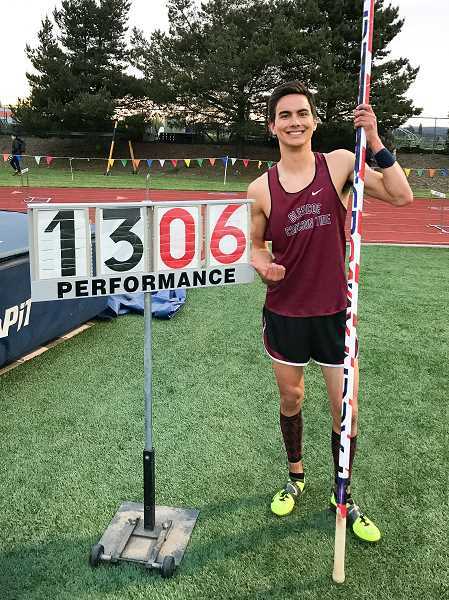 As a freshman, he played varsity lacrosse and wrestled, played tennis his sophomore year, and his last two years, he vaulted, improving his personal best by three feet. 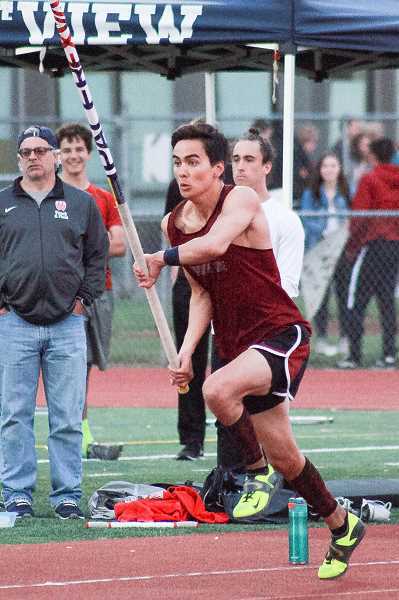 He won the Metro League District Championships, clearing 13' 6" and equaling a career best, and later went on to finish eighth at the state meet in Eugene. But as he narrowed his focus in the athletic arena, he was just opening his eyes to what the future held regarding a potential career. "I have a pretty solid plan to get into dentistry," he said. Blake Lee, a member of the Church of Jesus Christ of Latter-day Saints, plans to attend Brigham Young University in the fall and fulfill a two-year mission before studying and graduating in the field of microbiology. Then, he hopes to become an oral surgeon, something he's already explored first hand. "I did an OHSU dental exploring program that was great," Blake Lee said. "It was really cool to get some hands-on experience. I got to meet the guy who was in charge of admissions, and he was a wealth of information regarding the program and had a lot of tips for potentially getting accepted in the future." Meanwhile, his sister is just getting started. 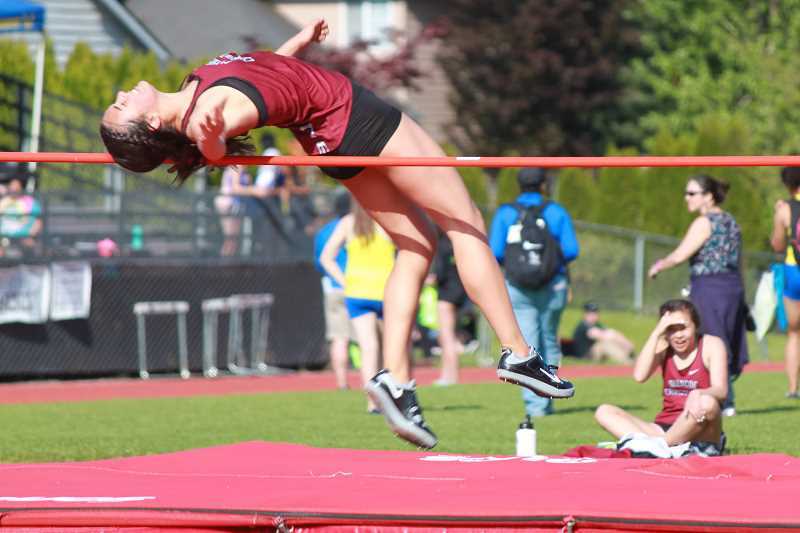 While only a freshman, Jayda Lee — just a year removed from getting started with the discus — placed eighth in the Metro League District Championships last month, as well as second in the high jump before ultimately placing seventh at state. Not bad for competing as an afterthought. "I never really thought about doing track," said Jayda Lee. "I started volleyball in fourth grade, and basketball in seventh grade, then the summer before freshman year, my dad was super-excited about teaching me discus, so we worked all summer. Then I started high jump because you had to do two sports and I thought it would be great for volleyball and basketball." Jayda Lee prefers volleyball above the others, but she said it's really difficult to choose between her three endeavors because they're so different. "Basketball is physical, volleyball isn't, and track is very individual," she said. "I just try to be very dedicated to whichever sport I'm doing at the time." It's a mature response for a teenager, but one nurtured over time by parents who even their children can appreciate. "My parents have had a huge influence on us," said Blake Lee. "I remember when we had a 'yes ma'am' jar and every time we said 'yes ma'am' to our mom, we got a cotton ball in the jar, and when it would fill up, we'd get to go to the Dollar Tree and buy something. So even little things like that have helped to teach us to be respectful to adults and people in general." In addition to their parents, Blake and Jayda Lee both are thankful to their coaches for also contributing mightily to their success. But in the end, it's their parents who have and continue to lead the way, through both instruction and by example. "Our dad was pursuing one of the hardest majors you can pursue in mechanical engineering, and still participating in sports," Blake Lee said. "So that perseverance he demonstrated taught us a lot." And his sister agrees — not just in regards to her parents, but her brother as well. "When I think about how much my parents have helped me, it's amazing," said Jayda Lee. "And my brother has definitely been an inspiration to me. I've seen how much he's improved in the pole vault and how hard he's worked, and it gives me confidence that if I work hard, I can achieve my goals." If that's not the essence of family, what is?